I think for many of us, making music is a way of expressing emotion. 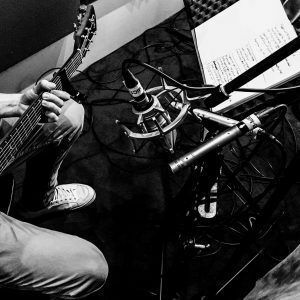 It could be with an instrument, your voice or combining sounds on a laptop.Recording studios have only been around for a relatively short time, but have become accepted as a bridge allowing performers to communicate with their audience. As far back as when the first physical media was used to capture audio it has allowed members of the public to store and carry their favourite music with them. By moving a band from their natural environment - live on stage - to a studio, some of the links between musician and listener are lost. Hearing music recorded rather than performed live can be a barrier to that communication. The performer no longer gets instant feedback from a crowd, and the audience is purely listening rather than being immersed in the experience of a live show. Of course with the popularity of youtube and other formats for streaming video, it's increasingly popular to watch whole gigs happening on the other side of the world. What does this teach us when thinking about the recording process? Well we can think of a recording as a one-way communication. For these reasons I've mentioned, it can be difficult to retain the same levels of excitement and interest we might perceive in a live performance. Your recording studio plays a significant role in this. But aside from the technical aspects, we must remember that recording and mixing is a creative process as well. Musicians who are new to recording sometimes make the mistake of thinking that hiring an expensive studio or buying the best equipment they can afford will allow them to make a great record. Sadly you can't make a great track just by using the best gear money can buy. Getting the best technical and emotional performance from the artist during the recording is important, but it isn't the whole picture. We shouldn't forget the REAL magic — much of this happens after the band leaves the studio! A producer can be thought of as a conductor, directing the musicians towards an end goal. But an engineer has to use all their tools and skills to give the mix that same level of excitement experienced when first hearing the music played live. Subtle nuances of blending instruments together, the drama and dynamic sound in a live room has to translate well onto the listener's headphones or a car stereo. 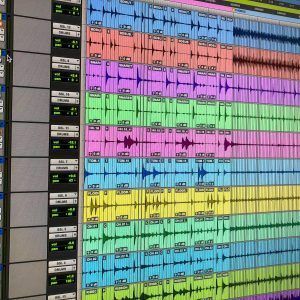 There are hundreds of books and articles on “how to make your mix sound great”, but not many that give a clear explanation of what real music mixing is about - which is creating and maintaining this feeling of excitement and "life" in a track. Nobody needs a lifeless sounding audio file! Even if the recording is perfectly correct, mixed according to the latest industry standards (and mastered to match the pink noise spectrum curve at a maximum possible loudness). 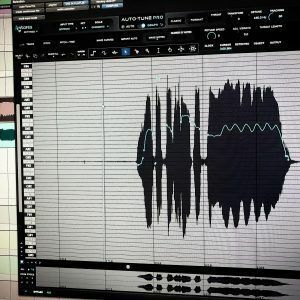 Now - of course - there are well known mixing techniques and a handful of rules it's usually best to follow, but apart from that, the core of the recording process is a creative one. You could think of it another way... If you don’t consider the recording, mixing and mastering stages as part of the finished music itself, the result will not be complete (almost as if some instruments are missing from the band). When someone learns to play an instrument or create music with their laptop, these technical skills become the tools of expression. For aspiring mixing engineers and producers, the first step is to listen and analyse, begin developing your own sense of aesthetic and attitudes to creativity; learning to operate a studio and its gear may seem more attractive, but these are skills that can be developed over time. A recording studio, and all the equipment in it, is nothing more than a tool. In the same way, a Formula 1 car can only perform at its best in the hands of a skilled driver; a studio can only play a part in making great recordings when the producer and engineer have a clear vision for the track they are working on and the experience to make this a reality. Only by capturing and preserving the artist's original emotion albeit with a touch of production "flavour" can we turn a great song into a great record. But nowadays the process of recording is also a huge influence on what will be recognised as the "Song" as written by the artist or writing team. Learning to listen is way more important than how to turn the knobs.